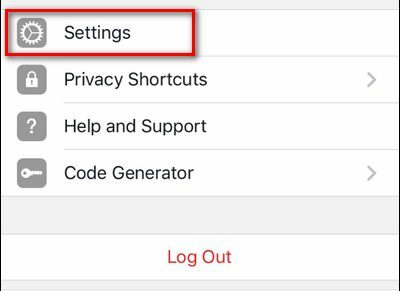 1.Within the menu, select “Settings“. 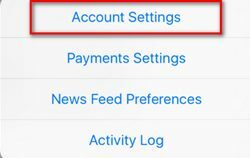 2.Within the resulting pop-up menu, select “Account Settings“. 3.Scroll down to “Videos and Photos“, then select it. 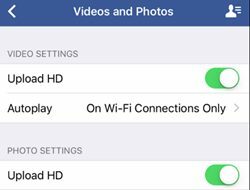 4.Within the “Videos and Photos” menu you’ll see the default state, which is “Upload HD” off for both Video and Photo Settings. 5.Toggle one or both of the settings on, per your needs. 6.Now when you upload new content from your mobile device, the resolution of your photos and videos will be higher and your videos won’t look like you shot them a 1990s-era webcam.